One of the most popular vehicles, the 10ft trucks come available in boxes, canopies or open tops for the loading area. A professional team of movers and packers can assist in your home or office relocation at extremely competitive rates. Our Rentalorry team is able to handle both ad hoc deliveries as well a long term contracts. Get a quote here! In need of a huge truck to make your moving job or deliveries faster and more efficient? Rentalorry can provide you just the truck you need! Our 10ft trucks are ideal for both commercial and home moving purposes. We have a range of packages that entails different services for you to choose from. Let us know your requirements and needs and we will do our best to get a vehicle that will accommodate your requests. You name it, we have it! From rentals with drivers to without drivers, daily truck rentals to monthly truck rentals we have a range of services that you can pick from to best suit your needs. If you are unsure of what you really require, just drop us an email and our staff will recommend the most cost effective solutions to solve your logistic problems. Sometimes, you own car or SUV may not have adequate space to transport larger items such as dining tables, or larger cabinets. With the larger capacity of our 10ft lorries and trucks, more cargo can be loaded into the truck and this means fewer trips will have to be made. Similarly, for deliveries, a higher tonnage and larger capacity also means that the delivery routes can be longer and this translates into time and fuel cost savings for you or your business! For growing business and SMEs, laying down the capital to get a whole new truck may not be a viable idea. That is why, with our rental and leasing schemes, we are able to provide you with the vehicles needed to run your operations without the hassle of having to worry about the maintenance or upkeep of the vehicle. The capital saved can be diverted to other parts of your business development. We Have A Huge Network Of Partners – This presents us with a fleet of well-maintained and efficient trucks. It would be easy for us to source for the best and cheapest trucks for our clients to use. 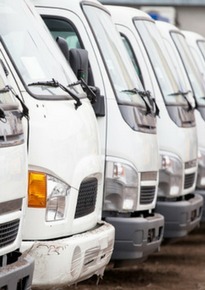 Gone were the days where you will have to personally email multiple truck companies to find the best truck rental deal. There Are No Hidden Costs – We pride ourselves as a company that is transparent in our dealings. Every cost will be mentioned upfront so you the quote you get is what you are paying. Our leasing costs also include all insurance and maintenance expenses so you do not need to worry about unexpected bills that you need to pay for. With our internet portal, we can easily source for the truck rental that best suits your needs. Whether it is to move your home of office, we can always get one of our trucks to fulfill the job. Contact us to get a quote today!